Clear vision is the primary goal of anyone seeking comprehensive eye care. At Carolina Optometry Associates, we utilize the highest level of technology available to us to determine your visual needs. We understand that your sight is a gift and everyone deserves a chance to see clearly. Carolina Optometry Associates is a family owned and operated practice founded on the principles of affordable, community-driven eye care with an emphasis in comprehensive vision exams. Our doctors are extensively trained in all facets of eye care including glaucoma, macular degeneration, contact lenses, pediatrics, and geriatrics. We pride ourselves in our service and will work to make everyone feel at home with our office. As the owners/founders of Carolina Optometry Associates, we want to thank you for visiting our website and hope to see you as one of the newest additions to our business family. We take great pride in our patient satisfaction and will do everything in our power to make your experience a pleasant one. We are confident in our ability to create a comforting and reliable environment for all your eye care needs. We wish you the best and hope to see you soon. determined using the latest in refractive technology as well as a very thorough examination of the overall eye health. Our doctors will provide a thorough screening for all age ranges from pediatrics to geriatrics. We would like to show each individual that eye health is more than just seeing well. Dr. Andrew Graves and Dr. Melissa Graves take time with each patient to discuss pertinent health concerns that can or will affect the eyes. Please find below a list of the services we offer and if you require any of them, please feel free to contact our office at (919) 755-2814. Cataracts in most cases are a natural age related change to the lens inside the eye. About age 40 and up, we start seeing early signs of cataract changes occurring. Along with age, it is believed that smoking and diabetes can also increase our changes of developing cataracts. Being that this condition is mostly related to age, there is an increasing number of Americans that have cataracts currently or have had cataract surgery in the past. Some of the most common symptoms associated with cataracts include blurred/hazy vision, double vision/diplopia, poor night vision, glare and halos around lights, and trouble seeing in dim lighting such as restaurants. 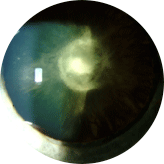 The most common types of cataracts are nuclear, cortical, and posterior subcapsular. Each of these occur most commonly due to the risk factors such as age, UV exposure, trauma, and high risk medications. Nuclear cataracts are formed as a general facet of aging and can become more troublesome due to UV radiation exposure from the sun. 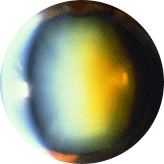 With this type of cataract, the natural lens changes from clear to yellow to brown. As the density or color becomes more prominent in the lens, the patient starts to see more abrupt vision changes. Cortical cataracts are very common and lead to a primary visual symptom of poor night vision. This type of cataract creates opaque spokes similar to that of a bicycle wheel that extend near or into the pupil and create a lot of glare, especially at night. 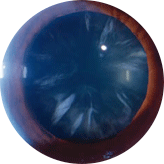 Posterior subcapsular cataracts are known to cause the most pronounced visual impact. These cataracts are typically fast growing and occur for numerous reasons. The most common reasons these cataracts can develop would be systemic illness such as diabetes or autoimmune conditions that require high or long term dosage of oral or injectable steroids. At Carolina Optometry Associates, we evaluate the lens changes along with the visual system during your comprehensive eye health examination. This should be performed at least yearly to follow not only cataracts but other vision threatening diseases. Our highly trained doctors will determine if and when cataract surgery is the best option moving forward. We also will provide post-operative care and have numerous surgical referral groups that we co-manage with to give you the most convenient and comfortable care. If cataracts are a concern for you, please feel free to contact our office and we will schedule an appointment as soon as is convenient. 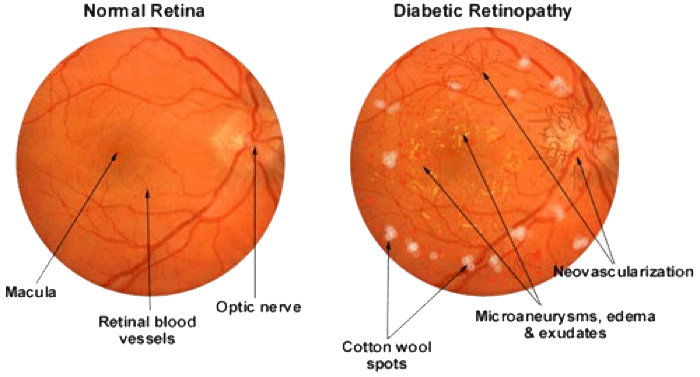 Diabetic Retinopathy is one of the leading causes of blindness in our middle aged population. A vast majority of patients who have been diabetic for over 10 years have some form of diabetic retinopathy. There are also many cases where the clues our doctors find in the routine eye exam that help in the first time diagnosis of diabetes. The vascular system can become fragile over the course of time with blood sugar changes and can lead to leakage within the retina. With earlier diagnosis and proper management, the cases of blindness resulting from this disease can be reduced drastically. 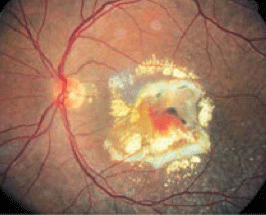 Mild Non-proliferative Retinopathy occurs in the very early stages of vascular insult. This usually affects the small blood vessels within the retina and can lead to swelling and small hemorrhages. Moderate Non-proliferative Retinopathy occurs when the blood vessels continue to change and create more hemorrhages and swelling. The hemorrhages in these cases are more profound and more numerous. Also, ischemia can start to form which damages healthy cells due to a lack of blood flow. Severe Non-proliferative Retinopathy occurs when a vast area of the retina has hemorrhages and ischemia. There is typically more leakage from the blood vessels and the hemorrhages are much more pronounced as are the areas of ischemic retina. Proliferate Retinopathy occurs when new blood vessels grow due to the current lack of blood flow within the retina. Since new blood vessels that grow in this manner are not complete, they leak resulting in more hemorrhage and a worse visual outcome. Here is a basic picture showing the difference between a normal retina and a diseased retina. Our doctors at Carolina Optometry Associates are trained in the diagnosis and management of these particular issues. Although dramatic in the picture above, these changes in the retina can be very subtle and without symptoms; therefore, it is imperative to have a comprehensive eye exam yearly for all diabetic patients both type 1 and type 2. Still the most effective therapy for management of these conditions would be routine blood sugar control but surgical options are available if the disease progresses to a certain point. Both Dr. Andrew Graves, and Dr. Melissa Graves are very confident in their care of diabetic patients and they fully endorse yearly dilated exams with retinal imaging for patients with diabetes. In a lot of these cases, we co-manage with outside providers whether it is primary care, endocrinology, or retinal specialist to provide the highest level of eye care. Dry Eye Syndrome occurs as a result of either low tear production or poor quality tears. This results in a failure to nourish the surface of the eye which leads to the common symptoms of dry, gritty, or scratchy eyes. There are three layers that make up our tears; an oily layer, a fat layer, and a water layer. A deficiency in any of these layers can have an impact in developing symptoms. There are many risk factors that can contribute to dry eye syndrome.There are many risk factors that can contribute to dry eye syndrome. Medical conditions like thyroid conditions, diabetes or autoimmune disorders like rheumatoid arthritis can cause dry eyes. Contact Lenses – In some cases, contact lenses can cause dry eye; however, this could be due to improper wear style or overwear of a specific type of lens. In many cases, changing habits or materials could alleviate the problems. Tears are needed to keep the surface of the eye healthy and viable. Tears coat the surface of the eye to cleanse and rid of allergens and particulate matter. Deficient tears can lead to infection and inflammation of the eye.There are different ways to treat dry eye depending on the cause. Sometimes simple changes like drinking more water, warm compresses, or taking supplements to promote healthy tear production are helpful in treating dryness. Other cases may involve medications to decrease inflammation causing dry eye or punctual plugs which allow more tears to remain on the eye. Examination of the surface of the eye and eyelids, as well as tests to measure tear production and quality can be used to determine whether or not one has dry eye. If you have any concerns regarding these symptoms, please contact our office for an appointment with one of our doctors. Our providers are well-trained in the diagnosis and management of this condition. Macular degeneration, also known as AMD, is a leading cause of vision loss in people over the age of 60. It causes damage to the macula, which is the most sensitive part of the retina used for fine, detailed vision. Although macular degeneration does not result in total blindness, It can aggressively impede our central vision to the point of legal blindness and severe debility. Some people with AMD progress so slowly that they still retain functioning vision, others may progress quicker and lose all of their central vision.There are two types of macular degeneration. One is dry AMD and the other is wet or neovascular AMD. 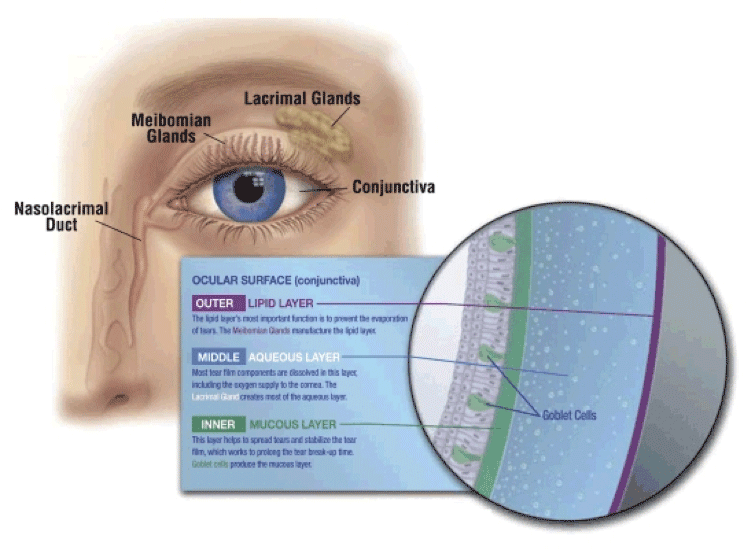 Dry macular degeneration results in small deposits called drusen and a loss of the macular tissue. Wet macular degeneration is more severe and results from significant damage to the macula where new vessels begin to grow. These new blood vessels are leaky and cause bleeding in the macula leading to a significant loss of central vision. This more damaging form of macular degeneration is not as common and only affects roughly 10-15% of our population. Risk factors for developing AMD include age, race, smoking history, and a family history that includes this disease. Caucasians typically develop macular degeneration at a higher rate than African-Americans or Hispanics.Lifestyle can influence our risk of developing this disease. Those who smoke have twice the likelihood of developing macular degeneration in their lifetime. High cholesterol and blood pressure may also increase the risk of AMD. Coincidentlly, studies have shown that those who don’t smoke, exercise regularly, eat plenty of fruits and vegetables, especially green leafy vegetables, and maintain healthy blood pressure along with healthy cholesterol levels are least likely to develop macular degeneration. At Carolina Optometry Associates, we can detect and form a plan of treatment for macular degeneration by simply performing your yearly comprehensive eye exam. 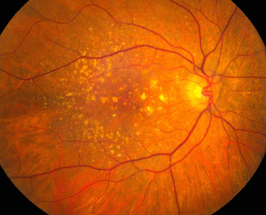 Certain special testing may be required such as retinal photographs, optical coherence tomography (OCT), or fluorescein angiography to manage macular degeneration. The key is detection and monitoring with a bare minimum of yearly examination. In many cases, the special eye care needed for this disease requires more than one exam a year. Currently, there is no treatment for dry AMD, though with close monitoring at our office, we can help detect changes to your central vision. Studies have shown that certain vitamin therapies can help to reduce the risk of the macular degeneration progressing. We also co-manage with retinal specialists regarding new and future therapy for treatment options. There is however a treatment for wet macular degeneration. Although the visual outcome of this type of AMD is worse, the possibility of halting or slowing the disease process is promising. Given enough severity, macular degeneration can be very detrimental to every day tasks. Some patients may require vision aids to help them with things around the house and their job. Taking care of your vision now, by eating right, staying active, wearing sunglasses and refraining from smoking can help maintain healthy eyes. At Carolina Optometry, we will offer you a full comprehensive eye exam that will allow us to detect this disease and determine the best possible course of action using state-of-the-art equipment and recommend therapies that our engaging providers feel is in the best interests of our individual patients. In the event surgical intervention is required, we can refer and co-manage all of our cases with highly specialized retinal surgeons. If you feel that you meet any criteria listed above or have any of the risk factors for this disease, please feel free to call to schedule an appointment with one of our experienced eye doctors. Both doctors have been providers in North Carolina for over 5 years and have been credentialed with most all insurances. Dr. Andrew Graves is originally from Oxford, Mississippi where he lived for 20 years. He is a graduate of the University of Mississippi with a degree in Biochemistry. He earned his Doctor of Optometry degree from the University of Alabama at Birmingham School of Optometry in 2009. While in training, he completed rotations in a private practice in Sanford, North Carolina, the Veteran’s Affairs Medical Center in Tuscaloosa, Alabama, and 2 rotations at UAB Eye Care Clinic in Birmingham, Alabama. Upon graduating he spent one year in rural West Virginia working in a small private practice until deciding to move to North Carolina to start his family. Dr. Graves has been licensed by the North Carolina State Board of Optometry to practice in this state since 2010. Dr. Graves practices full-scope optometry with emphasis in contact lenses, ocular diseases such as glaucoma and macular degeneration, and pediatrics eye health. Dr. Graves and his wife founded Carolina Optometry Associates in March of 2015. He currently lives in Apex with his wife Melissa and their two boys, Peyton and Cooper. As is the match made in heaven, both he and his wife are both SEC football fans with obvious allegiances. Beyond the football in the house, Dr. Graves enjoys spending most all of his free time with his family. Dr. Melissa Graves is a native of New Jersey. Her family and studies took her to Alabama where she completed a degree in Biology and Chemistry. She graduated from the University of Alabama at Birmingham in 2002 and proceeded to perform research in Biochemistry while awaiting admittance to optometry school. She received her Doctor of Optometry from the UAB school of Optometry in 2009. Upon completion of school she performed a postgraduate residency in ocular disease at the Huntington VA Medical Center in Huntington, West Virginia. In this residency she learned state of the art medical therapy for all ranges of ocular disease including glaucoma, macular degeneration, diabetic retinopathy, and cataracts. After her residency, she moved to North Carolina with her husband, Dr. Andrew Graves where both worked as independent doctors of optometry in various locations. Their goal of opening their own business has finally come true as they founded Carolina Optometry Associates in 2015. Melissa spends most of her free time chasing her two sons Peyton and Cooper. She also enjoys running, cooking, watching football, and listening to music. Dr. Cara Finn is excited to be a doctor with Carolina Optometry Associates and provide comprehensive eye exams for patients of all ages. She received her Optometry degree from the University of Missouri-St. Louis School of Optometry in 2014. Her training provides her with the ability to provide a variety of services including routine vision exams and medical exams for injuries and infections. In February 2014 Dr. Finn volunteered with I-Care International and the UMSL chapter of Students Volunteering Optometric Services for Humanity in Trujillo, Honduras bringing eye care to those in need. She hopes to be able to participate in more mission trips in the future. After two years of practicing in Ohio, Dr. Finn is excited to begin practicing in Raleigh, NC. She is originally from Napoleon, Ohio and graduated from Napoleon High School. She then attended the University of Michigan where she received her bachelors of science in psychology. She is the daughter of Jay and Patti Finn and has two sisters; Mackenzie (Finn) Plassman and Shannon. Dr. Scott Sikes is a North Carolina native and grew up in Broadway, NC. He graduated from the University of North Carolina at Wilmington in 2005 and received his Doctorate of Optometry from the University of Alabama at Birmingham in 2009. Dr. Sikes practiced in Wilmington, NC for about 5 years before moving back to the Chapel Hill area. He provides full-scope optometric services including contact lenses and managing ocular diseases like glaucoma and macular degeneration. Dr. Sikes currently lives in Chapel Hill with his wife Afton, their two boys Hudson and Foster, and their Scottish Terrier named Tucker. Dr. Sikes enjoys woodworking and DIY projects when he is not seeing patients. Carolina Optometry Associates is a family run business providing thorough eye health examinations to patients of all ages. Our eye doctors are well trained to handle any and all eye care needs. We are accepting new patients and welcome back our previous patients. Currently we can handle family scheduling along with walk-in availability. 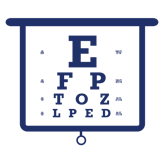 Please see our insurance information to find out if we accept your specific plan. If you have no insurance we offer fair and competitive pricing for all of your eye care services. We welcome all patients to schedule an appointment. If you are interested in a new glasses prescription, contact lens prescription, routine eye exam or simply would like to know more about your eye health, the doctors of Carolina Optometry Associates look forward to your visit. We are currently located in North Raleigh next door to the Costco off Wake Forest Road. As our location is on the premises of the Costco parking lot, a lot of patients ask if they must be members to be seen in our practice. The answer is no. You do not have to be a member of Costco to be our patient; however, the benefits of membership allow purchase of glasses and contacts through the warehouse. We are very excited to announce we have expanded to a second location with the opening of Costco in Apex. If you are a previous patient of our Raleigh location, your health records are transferrable so there will be no extra paperwork. © 2019 Carolina Optometry. All Rights Reserved.